All of our classroom teachers are BC Certified teachers with Montessori certification. Our specialty subject teachers are all BC Certified teachers with background knowledge in Montessori philosophy. In our preschool/Kindergarten classrooms, our teachers all have their Early Childhood Education certification as well as teaching credentials through the provincial regulating bodies. We boast low student to teacher ratios with each classroom having one classroom teacher and one Classroom Assistant. Please see our full faculty list below. Mr. Patrick Vincentine comes from a family of educators. Born and raised in Ontario he graduated from Concordia University and taught at the Montreal School for the Hearing impaired before travelling overseas. Mr. Patrick was principal of an English immersion school in Hualien, Taiwan for 5 years. 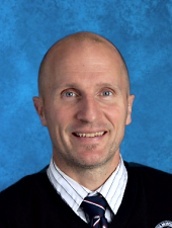 Upon his return to Canada, Mr. Patrick settled in Victoria and soon found work as a teacher with Maria Montessori Academy. After completing Elementary, Middle and Secondary Montessori training he was part of a team which initiated the Senior school. When not guiding traffic in the parking lot, Mr. Patrick enjoys mountaineering, running and hockey. Christine Tuttle has been a member of the MMA family since 2007. Miss Christine graduated from Uvic with a BA in psychology in 2006 and went on to pursue her true passion; education. After graduating from UBC with a B.Ed, Miss Christine came to MMA as a teacher in the Gamma classroom and immediately fell in love with the Montessori philosophy. Miss Christine went on to complete her Montessori certification in Lower Elementary and in 2015, she was hired as Vice Principal. Miss Christine loves spending time outdoors with her family, playing field hockey, reading books at the beach, and going camping. Deborah Arcuri has been a member of the MMA office team since 2007. 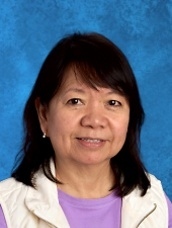 Miss Deborah has a wealth of experience having previously been the Office Administrator at Greater Victoria Christian Academy and West-Mont School. When Miss Deborah is not at school she loves to spend time with family, especially her grandchildren. Her passions include line-dancing, scrapbooking, walking, and travelling with her husband, Ron. Ginette Timmerman has been with us since 2017. She comes to us with a various background of Office Administration & Chinese Medicine. When Miss Ginette is not in school, she can be found with her family and two kids, gardening, playing outdoors, running and doing yoga. Laura Hofmann joined MMA in the spring 2015. Miss Laura comes to us from Germany with a background in Office Administration. Miss Laura loves the community of MMA and is proud to be Mom to Lucas and Anton, who are also fortunate to attend MMA. 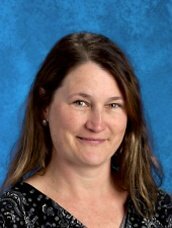 When Laura is not at school, she enjoys the outdoors and is busy working on her hobby farm tending to her bees, chickens, dog, Henry, and garden with her loving husband Paul. Renée Pelletier has worked at MMA since 2011 as our Office Administrator. Miss Renée loves being the one to welcome new families to the Academy as well as being a liaison between parents, teachers, and the administration. Miss Renée has a Certificate in Accounting and Computing as well as a Bachelor’s Degree in Social Science. She is Mom to two amazing children, both who are fortunate to have attended MMA since preschool/kindergarten in 2008. When she is not at school, she can be found playing with her dog, Evie, working in her garden, or on her road bike (which is her new passion). 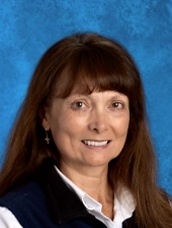 Jennie Lewis has worked at Maria Montessori Academy since 2011 as our Financial Comptroller. Miss Jennie loves working at the school and being responsible for the accounting operations of MMA. Miss Jennie has a CPA, CA designation as well as a Master’s in Public Administration. When she is not working, she is spending time with her family, gardening, or practicing yoga. 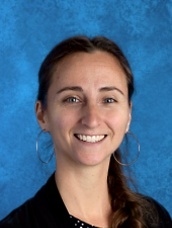 Sara dePol has worked at Maria Montessori Academy since 2006. Upon completion of her Montessori and Early Childhood Education with the Angela Martin Montessori Training center, Miss Sara has thoroughly enjoyed her time working with the Preschool/Kindergarten classes. She is passionate about watching young children discover their individual potential and providing them with the fundamental skills they will use throughout their lives. When Miss Sara is not at MMA, she can be found enjoying her time with her family. Diane Ulrich works with the Pre/K children in the Lavender Room. She has an Ontario Teaching Certificate, an Independent School Certificate, a Montessori Casa Certificate and an ECE. 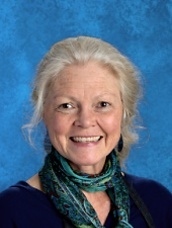 Miss Diane has taught Kindergarten in the Ontario and B.C public school systems and has been a Montessori Directress for over 30 years. 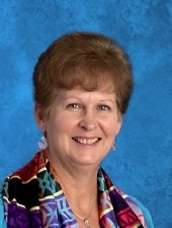 Outside of school Miss Diane enjoys gardening, golfing and spending time with her four grandchildren. 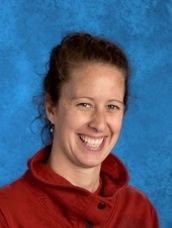 Janelle Doucette has been a preschool kindergarten teacher for more than 20 years at MMA. She has a BFA from Concordia University and a Diploma in Education from McGill University. After moving to Victoria in 1991 she studied at the Angela Martin training center and obtained her Montessori diploma. She loves working with children and their families, and being able to see how Montessori education can make such a difference in their lives. Janelle loves the community that MMA offers and enjoys teaching in such a positive and supportive environment. She is a mom of two children who both went to MMA and are now in University. When she is not working, Janelle loves cooking, playing with her family, and going for walks with her two dogs, Max and Zoe. Trudi Samson is a Preschool Classroom Teacher in the Sunflower Room. She was educated at Montessori Centre International, St Nicholas in London (UK). She worked as a teacher in the UK and Sweden, before moving to Canada in 2001. Trudi loves to travel and is always planning her next trip abroad. She dreams of one day selling up, buying a yellow camper van and taking to the road! 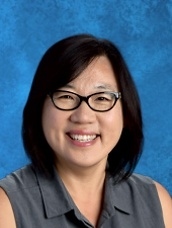 Kyung-Hee Kim has been part of Maria Montessori Academy since 1996. She started her teacher training at the Angela Martin Montessori Teacher Training Centre and completed both Early Childhood and Elementary level of training in 2001. Kyung-Hee also has an Early Childhood Education certificate as well as a BC Independent Teaching certificate. Inspiration from her own children who have attended Montessori schools in Korea, she found her passion as a Montessori teacher. Kyung-Hee finds joy in observing the developmental and growing process of her students during the Preschool and Kindergarten years. In addition to teaching, Kyung-Hee is often hiking with her two dogs at the Mt. Doug trails. She also enjoys training at the Pilates and Barre studios. 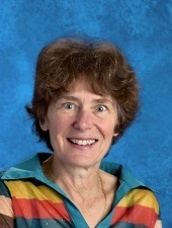 Marilyn Triste joined MMA in the year 2000 as the Culture Teacher for the lower elementary classes. Since then she has been the Head Teacher for the Alpha Class. Miss Marilyn has also been involved in the training of teachers at the Angela Martin Montessori Training Centre. She holds a Master’s Degree in Communication Research, a Bachelor’s Degree in Broadcast Communication, and a Diploma in Montessori Elementary Education. Miss Marilyn is a true believer in awakening the sense of wonder in every child. She imparts her enthusiasm for cooking, baking and gardening to her students, teaching them skills for everyday living. 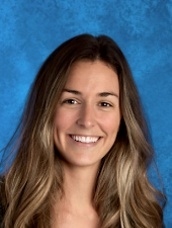 Lesley Duthie has been the classroom teacher in Beta (Lower Elementary) since 2010, and taught for three years at a Montessori school in North Vancouver. She has an MA in Art Education from the University of British Columbia and has worked in art gallery education as well as in corporate training and communications. Miss Lesley leaped into a Montessori training program in Vancouver, after observing her daughter (now an MMA graduate) thrive at a preschool there. Miss Lesley’s greatest joys outside of school are gardening and horseback riding. Jodi Brown began her Montessori career by embarking on her AMS certification in 2009, and immersed herself in the MMA community immediately upon arriving in Victoria in 2014. She is now the directress in Gamma. Miss Jodi holds a BA degree from Whitman College in Washington, and attained her teaching credentials from Western Washington University. Prior to MMA, her diverse experience included teaching English in the Japanese public school system and physical education to elementary students in Australia. Miss Jodi has a busy family life with three children, and enjoys running, reading and taking in all of Victoria’s wonderful natural surroundings. Miss Sandra is currently the directress for the Kappa classroom. 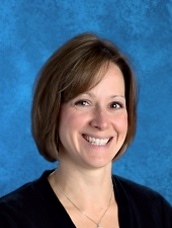 With twenty years teaching experience, she has taught at preschool, lower elementary and upper elementary levels. She also has a graduate degree in Library and Information Studies, with a thesis in award-winning young adult literature. When not teaching, Sandra enjoys cycling with her son, David. Sue Thorne began her career teaching medical professionals about Nutrition and Wellness. She switched gears and started in the school system with preschool, then lower elementary and eventually moved into the upper elementary level. As well as UE, Miss Sue now teaches adults again, with the Montessori Classroom Assistant training course. She has her undergraduate degree in Science and an MA in Education as well as a Montessori Certificate in Elementary I and II. On a personal note, Miss Sue is a long distance runner, a kayaker, and a cyclist. For quiet time, she loves to read and garden. Most importantly, Miss Sue loves spending time with her own children and extended family. Rachel Hartsook has been teaching at the Academy since January 2009. She first taught preschool/kindergarten music and worked as a classroom assistant, while completing her Montessori Elementary credential. Miss Rachel began teaching in the Delta classroom in September 2011, after a large wait list prompted the new classroom to open. Miss Rachel has a Bachelor of Arts in English and Sociology and a Bachelor of Education from the University of Victoria. She loves teaching her students about the world, different cultures and history. In her spare time Miss Rachel enjoys reading novels, going for walks, and singing in a community choir. 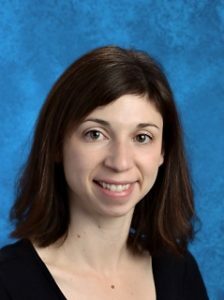 Julia Friedmann began at MMA in 2014 as a volunteer in an upper elementary classroom, and fell in love with the Montessori method. Since then, she has completed her Montessori training, then practicum in Elementary, and spent 2.5 years in U.E. Julia has always loved the middle school age group, and so it was with great pleasure that she transitioned into the Sigma middle school in 2017. Lee Patterson has worked as a Sigma Director since 2015. Since joining the MMA community, he has been involved with coaching soccer, helping with other sports, and the creation of the senior school garden. 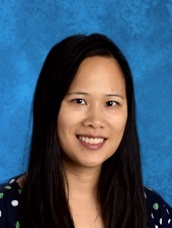 Lee is a graduate of the University of Victoria, having completed a Bachelor of Arts with a major in French, as well as a Bachelor of Education, with a focus on Middle School. He is currently undertaking his Montessori training through the Cincinnati Montessori Secondary Teacher Education Program. In his free time, Lee enjoys a wide array of activities, including: swimming, ultimate Frisbee, soccer, hockey, skiing, kitesurfing, camping, cooking, reading, and gardening. Aaron Gillatly came to Maria Montessori Academy after 6 years in the public system, and arrived just in time to be there at Omega’s very beginnings. An enthusiast in politics, Mr. Aaron has been fortunate enough to attend Teacher Institutes in Democracy held at both the Provincial legislative and the Parliament in Ottawa. When not boldly defending the value of the Oxford Comma, Mr. Aaron can be found riding about on a motorcycle with his club, the Angry Pandas. Kathy McIntosh first joined MMA in 2018. She has a BSc. in Chemistry and a DVM. She practiced as a veterinarian in Calgary and Regina for 10 years before getting her BEd. from the University of Calgary in 2004. 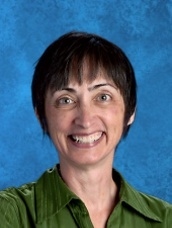 She has taught Mathematics and Science for Grades 6 – 10 for over 10 years in different private schools in Calgary. 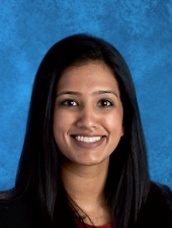 She will be teaching Mathematics for Grades 9, 10 and 11 as well as Foods 9. 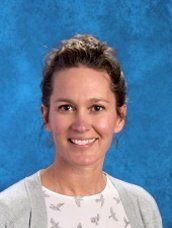 When she is not teaching enjoys cooking, baking, knitting, running and spending time with friends and family. After graduating high school in Toronto, Miss Brooke made the trek across Canada to attend the University of Victoria. There, she graduated with a BA in Hispanic Studies, and then, a couple years later, also received a BEd. In 2008, Brooke Rose started work at MMA as the French teacher and part-time in Sigma. She was a full-time Sigma teacher from 2009-2017. In 2013 Miss Brooke completed her Secondary Montessori certification, in Houston, Texas. In 2017 Miss Brooke decided it was finally time for her to graduate Middle School, and shifted gears with a new position as a full-time Omega teacher. Outside of school, Brooke loves hiking around this beautiful island, drinking soy lattes, reading, writing down ideas for her future book, taking photos, and thinking about where next to travel. 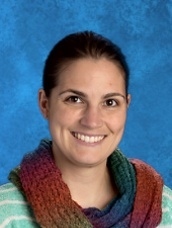 Haley Rymer has worked at MMA since 2011 teaching science to grades 9-12 students. 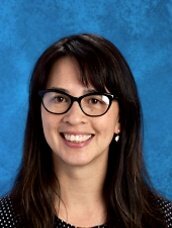 She received her bachelor of science in Biology at the University of Victoria in 2009 and went on to get both her teaching certificate and her Montessori certification. Haley brings an inquiry based, hands on approach to science that encourages students to explore and make their own discoveries about the world around us. When Haley is not at school she enjoys cooking, hiking and spending time with her family. 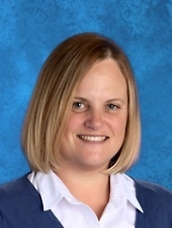 Ashley Jones has ten years of teaching experience and has been teaching in the high school at MMA since 2013. She has completed a Masters in Educational Technology and is currently completing her Masters in Integrative Montessori Education. Her specialty and passion is in Mathematics and she feels that there is nothing more satisfying than when a concept “clicks” in the student’s mind. She also teaches Personal World and Entrepreneurship and enjoys gardening and spending time in nature. 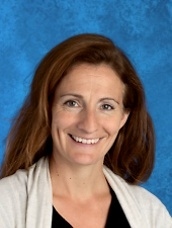 Dominique de Chantal has been teaching upper level French at MMA since 2014. Dominique has a French Canadian background and took her teaching education at UVIC along with a bachelors of English Literature. She also has a bachelors of Ecotourism and Outdoor Leadership from Mount Royal University. Dominique is an active equestrian and loves spending her weekends competing or camping with her Appaloosa horse Elmo. Keep an eye out for them around Elk Lake Park. Stephanie Charlebois has been member of the MMA team since moving from Toronto in 2016. She holds a Physical Education & Health degree from U of T and is a MACTE certified Casa Directress. 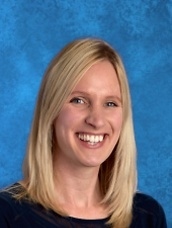 Miss Stephanie has shared her love of French language and culture throughout her 10+ year career in Ontario, teaching exclusively in French and bilingual Montessori classrooms. Her family of four is fully immersed in life on The Island—each part of a local team or group in either field/ice hockey, rowing, hiking or rugby. They are determined to get more time on the water and cycling in this amazing part of the country. Susanne Ledingham has been involved with art education for over 20 years. After moving to Victoria in 2004, Miss Susanne began working at the Art Gallery of Greater Victoria, developing art programs and teaching art classes. Using her experience both as an artist and as an art historian, Susanne brings a multi-cultural emphasis to her classes while focusing on process and play in order to gain mastery and skill. When Miss Susanne is not thoroughly enjoying herself in her MMA art studio, she can be found kayaking on Mayne Island, taking in a yoga class, playing around with her own art projects, and having tons of fun with her family. Sandi Henrich has been teaching art classes and developing art programs and workshops in Victoria since 2002. Her teaching approach is centered on encouraging creative expression and process-based art exploration. 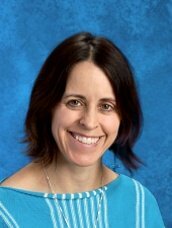 Miss Sandi has a degree in History in Art from the University of Victoria and a background in visual arts. When she is not making art, Miss Sandi loves to spend time with her creative family enjoying the beauty of nature. Kevin Simonar began at MMA in 2018 as a classroom assistant in Kappa. Mr. Kevin has an education degree from the University of Ottawa, and music degrees from McGill University and l’Université de Montréal. 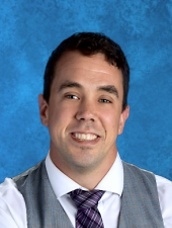 He has taught music in the Sherbrooke, Gatineau, and Ottawa school districts. Mr. Kevin has recently relocated to the city of Victoria from Montréal, and is happy to be a part of the MMA community. He is also a certified yoga instructor and enjoys practicing yoga, reading, and riding his bicycle in his spare time. 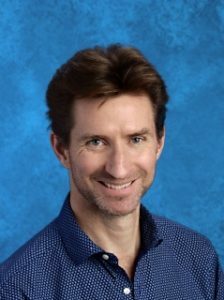 Andrew Farrell began at MMA in 2007 as a PE and Outdoor Education Teacher as well as a Classroom Assistant in Serenity. 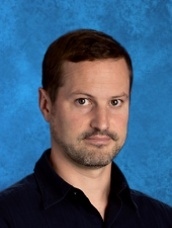 Andrew finished a Geography Degree at the University of Victoria in 2002, followed by teaching English in Japan, then returning to the west coast to complete a Bachelor of Education at UBC in 2004. His first teaching stint after UBC was as a Social Studies Teacher in Comox, moving there so that he could be on the mountain on a more often. Andrew left MMA for a year to run an alternative school but returned on an on-call basis in 2017,and is back to four days a week in 2018. Andrew and his wife have two young daughters at home, who love to go camping, biking, paddling, swimming and playing in the snow with their dad as often as possible. Andrew loves the outdoors, snowboarding, and paddling. Growing up in Ontario, Andrew played all sports that were in season. He continues to stay active outside of school chasing his daughters around playgrounds and beaches and playing squash on a regular basis. Christina Hofmann has been a part of the MMA team since January 2011. Previous to her time at MMA, she worked at St Michaels University School working in the Outdoor Education Department. Miss Christina has a Human Kinetics degree from Trinity Western University and Outdoor Experiential Education degree from Queens University. What she loves most about working at MMA is all the laughs and good conversation she has with her students and co-workers. Five things Miss Christina could not do without are: skiing, hot tea, friendships, family, and camping. 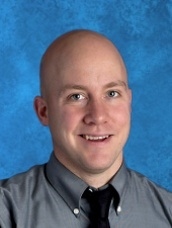 Basil McCarthy began at MMA in 2018 as a Physical Education teacher. He graduated from the University of Victoria in 2016 with a Bachelor’s in Education specializing in Physical Education and English Language Arts. In 2017, he began a a 15 month trip that saw him visit Australia, Indonesia, Thailand, Laos, Cambodia, Vietnam and Malaysia with teaching stops in both Thailand and Vietnam. He returned to Canada in the spring of 2018 and resumed teaching on call in both SD 71 & SD 62 before joining MMA. Outside of work Basil loves playing sports, reading, learning new subjects and spending time with family and friends. 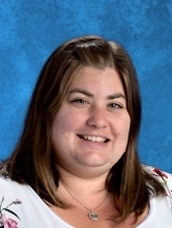 Michelle Hohertz has worked at MMA since 2017 as an Information Technology (IT) teacher. She has been in the IT industry since graduating with a Bachelors in Applied IT in 2000 but has been using computers ever since the 1980s! Michelle loves asking questions and believes that everyone has something to learn from everyone. In her off hours, Michelle enjoys spending time with her family, going to second hand stores and sewing. She dreams of flying over Serengeti in a hot air balloon and travelling around North America in a motorhome trying all sorts of delicious food. Caitlin Heayn first joined the staff at MMA in 2009, where she worked as an Education Assistant and in the After School Care program until 2011. Since her time at MMA, Caitlin has worked in numerous preschool, private and public school settings, and she took time off to have two children. 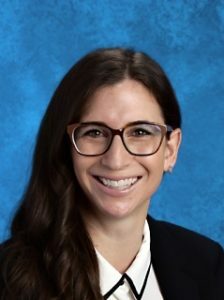 Caitlin holds a Bachelor of Arts in Applied Linguistics and a Master of Education in Educational Psychology, and she obtained her Independent School Teaching Certificate in 2014. 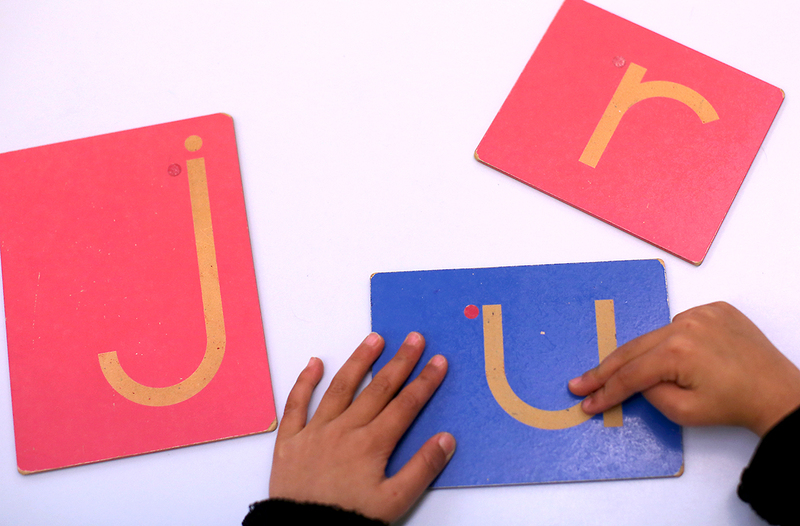 Because of her background in Linguistics, Caitlin has a particular interest in literacy and reading development, and she has taken the Orton-Gillingham Level 1 training – Foundations of Multisensory Structured Language Education. Caitlin is excited to be back at MMA as part of the Learning Assistance team, where her passion for helping students reach their potential can be put into practice! When not working at MMA, Caitlin can be found exploring our beautiful island with her husband, two daughters, and their dog Sophie. Miranda Longpre has been a Learning Support Teacher at MMA since 2015. She received her Bachelor of Education Degree from the University of Victoria. She is currently pursuing her Special Education Diploma and is also trained to teach the Barton Reading and Spelling System. 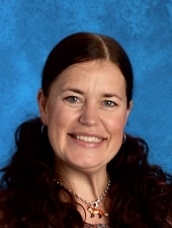 Miss Miranda has experience teaching many ages, including a group of spirited Grade Threes in the Yukon Territory. Miss Miranda loves that she now gets to work closely with individuals and small groups of students, to nurture their growth at MMA. When she is not at school, you can find her with her nose in a good book. 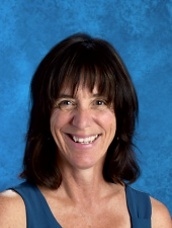 Leslie O’Hagan has been working as a Montessori Learning Assistant for over 20 years and has been at MMA since 2006. Leslie holds a Bachelor of Science in Mathematics and Computer Science and spent her early adult years working in high-tech. Her teaching career began after her own children began attending a Montessori school. In 2009, Leslie received her Certification in the Barton Reading and Spelling Program and she also trained to be a Dyslexia Screener. Leslie loves being able to give struggling students the gift of reading for enjoyment! In her spare time, Leslie enjoys reading, cooking, sailing and teaching Sexuality Courses for Teens. Courtney Rasura has worked at MMA since 2014 as a Learning Assistance Teacher. She graduated with her Bachelor’s Degree in Elementary Education in 2013. 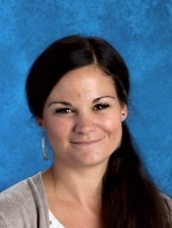 Miss Courtney has further specialized in Special Education, earning her certificate in 2015. 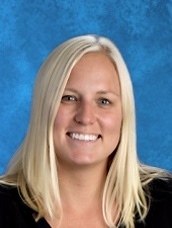 She enjoys creating individualized programs to meet each students unique needs and to celebrate their wonderful strengths. Miss Courtney is also trained to teach using the Barton Reading and Spelling System. When Miss Courtney is not at MMA she is with her family. Her family expanded in November 2015, with the addition of a beautiful baby boy. Together they love to travel and see what new adventures they can discover. Krystal Rajan first joined MMA back in 2008 while still a student at university. She later graduated from UVic with a degree in Political Science. In 2010 Miss Krystal left MMA and Victoria to move to Japan to teach at a high school in Shizuoka, as a part of the Japan Exchange and Teaching (JET) Programme. She lived and taught there for two years, after which she travelled some more and continued to teach in various capacities in Amsterdam and Seoul. Finally, she returned to Canada to attain a Bachelor of Education degree from UBC in 2016. Since completing her degree she has joined us again at MMA for the 2016/2017 school year.